If Peter Murray’s wife won $60 million, he still wouldn’t retire — and his company, Talon Helicopters, will never be for sale. That’s how much the 57-year-old helicopter pilot and entrepreneur loves going to work every day. To Murray, flying is much more than a job. It’s a way of life that gives him a sense of purpose through helping others. Whether that’s using a longline to rescue a hiker trapped on a rock ledge, battling a wildfire from the air, or lining up just the right aerial shot for a new movie, Murray has modelled his business on being the small niche operator that is both fast and flexible. 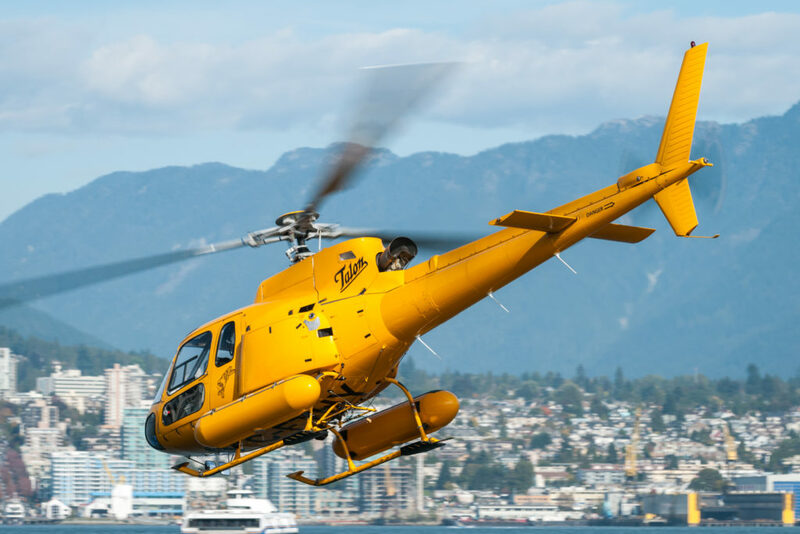 Based at Vancouver International Airport, Talon Helicopters was founded in 1997. Today, Murray’s operation boasts a total of five helicopters: two Airbus Helicopters AS350 B2 AStars, one AS355 F2MAX Twin Star, a Bell 206L4 LongRanger operated for CTV News, and its newest addition, an AS365 N2 Dauphin. Each aircraft flies around 400 hours per year. Talon Helicopters focuses on five main revenue sectors: film, rescue, transport, fire and utility work. Talon’s team of 11–including pilots, maintenance and support personnel–is comprised of seasoned professionals who know their jobs inside out. Staff turnover is never a problem. He added that 95 per cent of Talon rescue missions involve a 250-foot longline dropped through a hole in the trees or alongside a cliff face. Safety is top priority at Talon, which takes care to maintain its accident-free record. 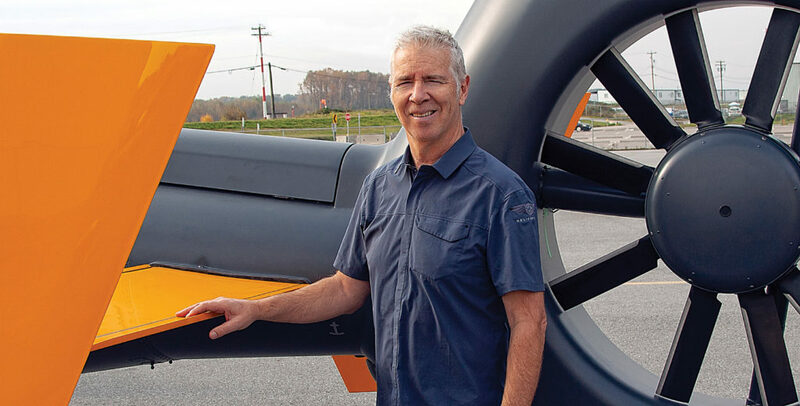 Murray, who has logged about 9,500 hours of helicopter time, has been working with B.C.’s volunteer-driven North Shore Rescue Team (NSR) for many years. Talon partnered with two NSR volunteers, who founded Boost Human External Cargo Systems, to develop a dual-hook system that is billed as the new standard in human external cargo (HEC) carriage. Growing up in North Vancouver, the young Murray hiked the trails of the Lynn Valley. Today, he prefers soaring over the rugged North Shore landscape in one of Talon’s helicopters. He finds the rescue missions most rewarding. Murray remembers a 2006 mission, when he responded to a long line rescue call to help a kayaker who had been trapped underwater in Callaghan Creek, near Whistler, B.C., for six minutes. The unconscious man, an orthopedic surgeon from Alberta, was pulled from the water by his friends, a group of doctors. They were on the side of the creek that did not have road access. The only way to medical help was a helicopter HEC flight across the creek to a waiting ambulance. With darkness approaching, Murray had only five minutes to lift the kayaker to safety. Working with Whistler Search and Rescue volunteer Scott Aitken on the longline, they moved the man across the creek, where he was taken to hospital. The prognosis was not good; he was not expected to live. “With that news, my heart sank. We had all worked so hard to try to help this man survive, and it still wasn’t enough. It was a crushing feeling,” recalled Murray. That feeling of sadness persisted for days afterward, until he received a phone call. The rescued man had regained consciousness and was expected to make a complete recovery! From his first flight in 1977, Murray knew he was destined to be a helicopter pilot. With the support of the Talon Helicopters crew, he’s become a successful entrepreneur, too. And, of course, support from his family–wife Oga, and kids Tyson, 11, and Talia, 7–is invaluable. Next up for Talon Helicopters is the integration of the new AS365 N2 Dauphin medium helicopter. “Where we are going now is NVG [night vision goggles] and being able to do rescues at night,” said Murray. “What I see is opening up the medium side–firefighting, initial attack, bucketing. Like he already said, Murray’s not going anywhere. There’s a lot more flying to do.